ISPserver is a hosting provider offering fully managed hosting services. We lease servers and sell domains, SSL-certificates and related hosting services: protection against DDoS attacks, backup drive and website performance monitoring. Smaller websites go on a shared hosting or a single physical server hosting multiple websites. Shared hosting costs from 2€ per month, with 20% discount for yearly payment and gratuitous .ru or .рф domain. Larger websites are host on either virtual or dedicated server. We provide tailored configuration, if a customized server is needed. All the data is stored in the proprietary data center in Moscow, therefore, we can handle non-standard situations quickly and efficiently. We monitor the hardware and regularly upgrade, coordinate technical activities with our customers and perform them during the lowest website workload. For the organization of hosting services we use ISPsystem software: Support staff undergo licensing, know and are able to use the software. We helped with the integration of several control panel modules, adapted them to suit our objectives and implemented Ceph for cloud-based servers. We help businesses host websites on the Internet and make them available at all times. All administration - hosting management - free. Therefore, you need no system administrator to monitor the hosting performance. 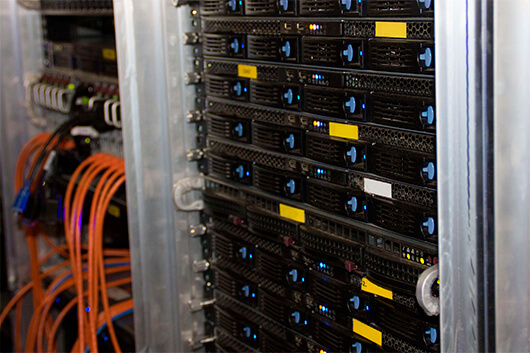 Servers are constantly monitored by data center staff and technical support team. We divide technical support into three lines, with each resolving issues of specific degrees of complexity. We've achieved quick response rates to the requests and now have 70% of questions replied within 15 minutes. Technical support is available in Russian and English round the clock. We do not "kick" the customer from one department to another, and solve their problem. We have done everything so that business owners could launch a website and go about their business while having their hosting looked after. We guarantee the website to be available 99.9% of the time, and will provide a refund for the downtime.